Learn the basic skills required to play ice hockey. Develop an understanding of basic teamwork through participation in a variety of activities and adapted game situations. To create and refine basic motor patterns required to play ice hockey. To introduce the concepts of cooperation, fair play, and sportsmanship in a fun environment. You can pay fees for the Learn to Play sessions on our Registration page or in person at one of the registration sessions. 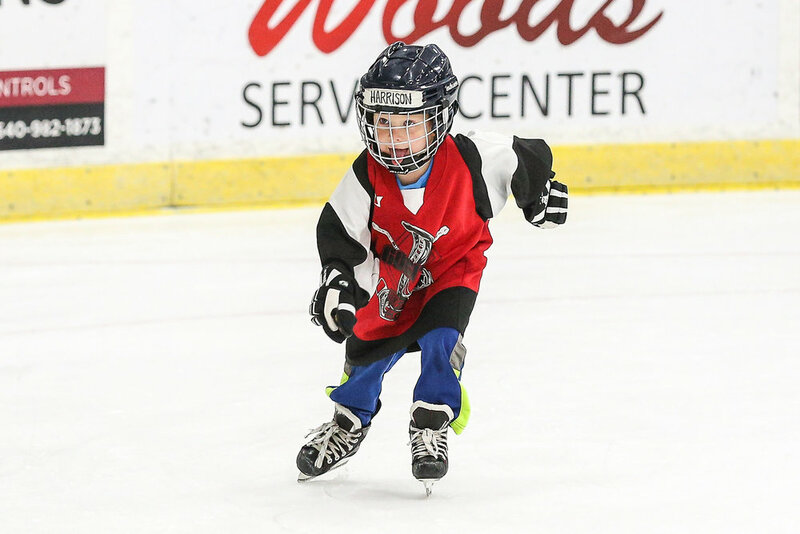 Safety, rules, positions, skating, stick-handling, shooting, game play, and development of essential skating skills. 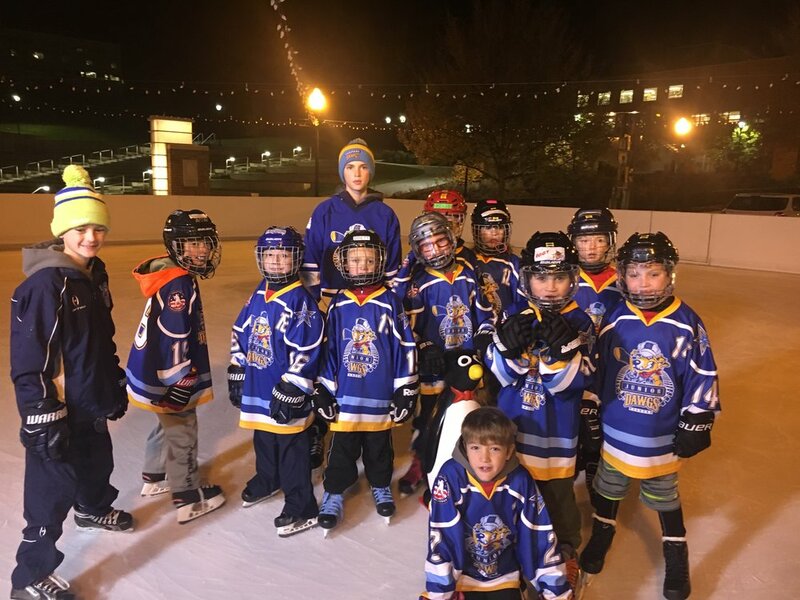 Some previous skating experience is a plus, but is not required to participate in this program. Children receive basic skating instruction, but will learn primarily through drills and small area games. The Future Stars clinic is all about FUN! It's a beginner class for boys and girls ages 5-8. Our Future Stars will love playing structured games designed to teach basic skating/hockey skills. The Rookies clinic is for boys and girls ages 9 and above. Competitive drills and small area games will be used to develop proper skating, stick-handling, passing and shooting skills. Successful completion of the Rookies clinics will prepare your skater for House League or Travel hockey player registration.